Create too much ‘water shade’ – their canopy can make a garden quite dry. Planted too near the house, they can also undermine the foundations of a house as their roots spread deeply into the structure. However, though some trees are too big to enjoy, there are many excellent varieties which will be good for the small garden. 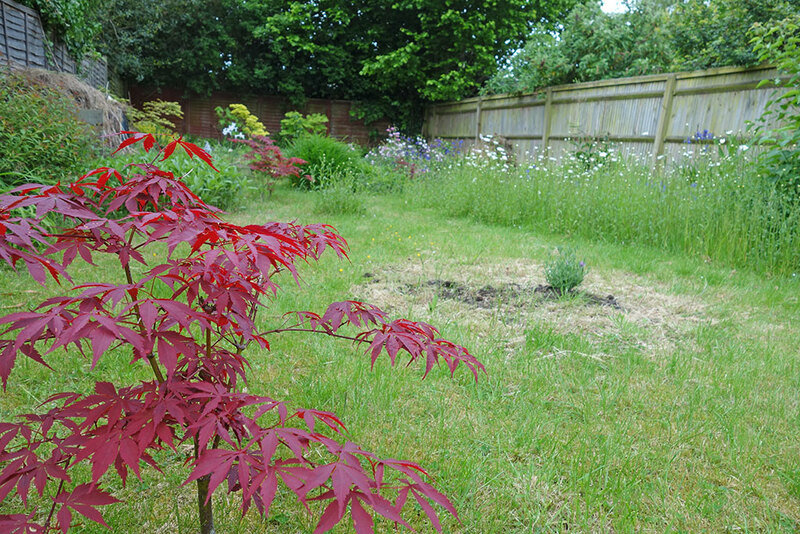 Acers – There are a huge varieties of acers. They can be very attractive in the small garden. They are also ideally suited for the small garden. Birches make excellent garden trees, there canopy is not too dense, providing a lovely dappled shade. There small delicate leaves and bark can also be quite attractive, especially the white barked silver birch. Hawthorn Tree. Can be used in hedges or used as a specimen tree. Will not grow too tall and provides good blooms in May or June. 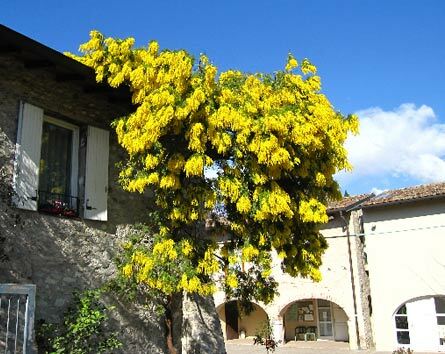 The Laburnum provides a wonderful display of yellow flowers in May / June. It shouldn’t grow too tall (though this tree from Italy has grown as tall as house. One important point is that its leaves and flowers and bark are all poisonous. If you have young children, it may not be suitable unless closely supervised. The best variety is Laburnum wateri vossii’ which produces long blooms of flowers. 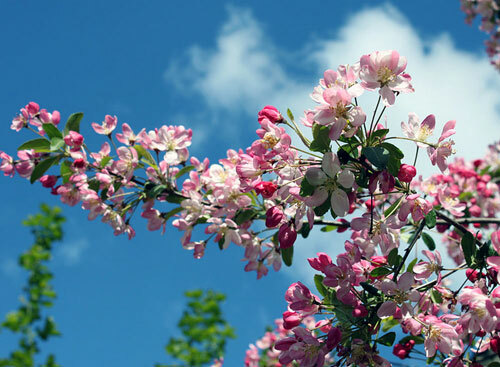 Closely related to the Malus and a a manageable height for most small gardens. There is a wonderful variety of flowering cherries and are prized for their blooms from January until June, depending on variety. A great addition to any garden. Nyssa – Tupelo – Not so well known but provides lovely colour in late autumn when its leaves can change colour dramatically. On this web page the lower picture shows two purple flowered trees. Can you please tell me what the tree is to the right of these, as that is exactly the shape of tree I want.